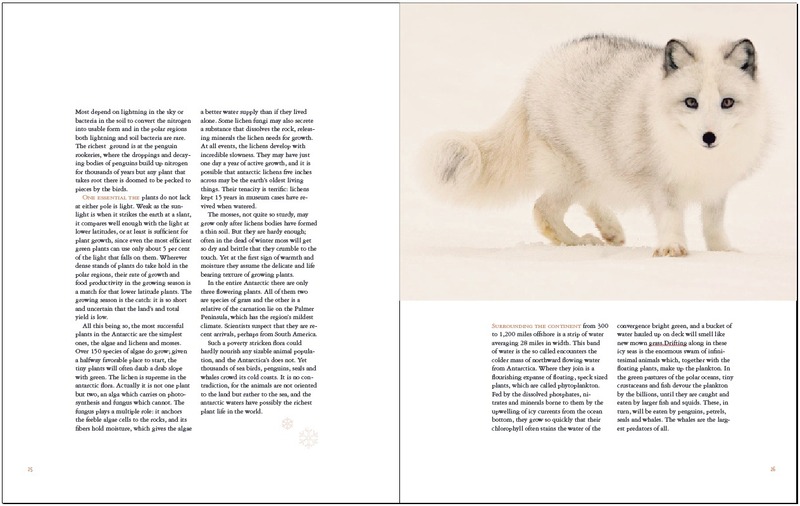 A redesign of the Timelife Nature Library book The Poles. 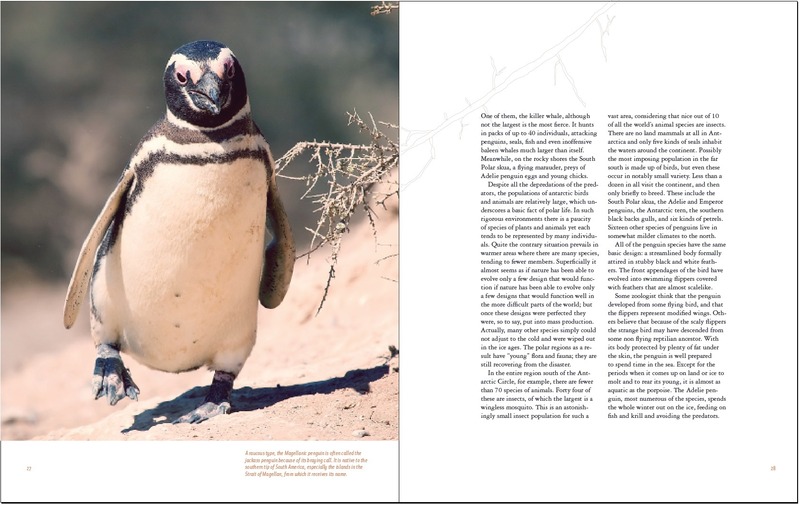 The goal of this project was to completely revamp the original 1973 version of the book The Poles by the Time Life Nature Library. 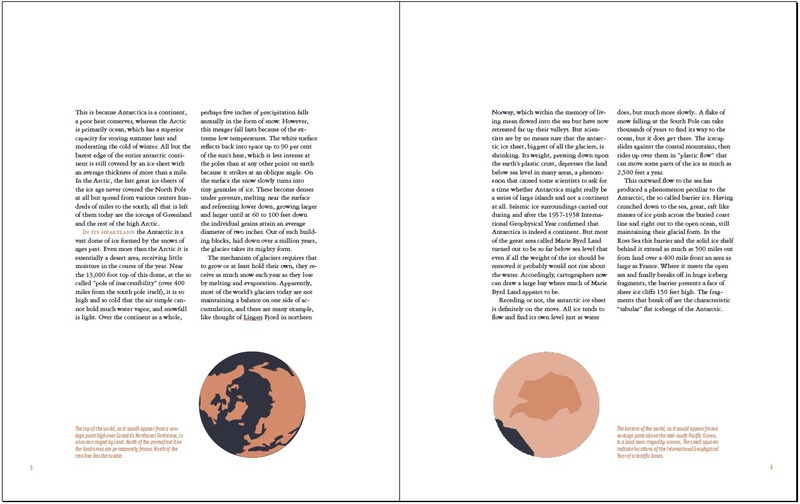 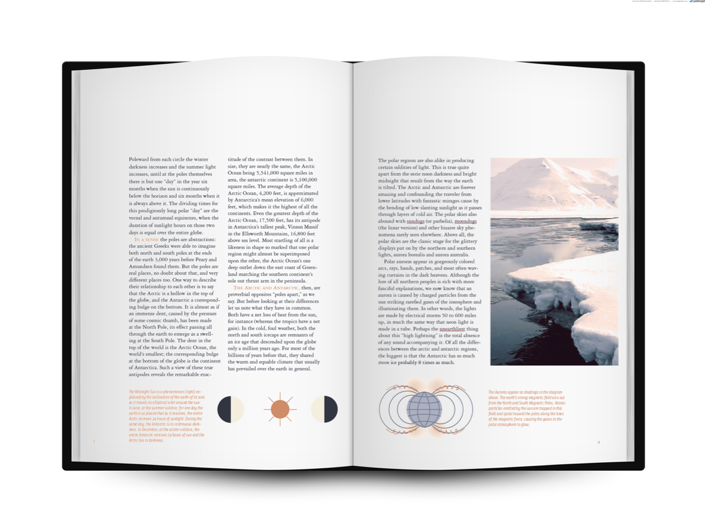 While redesigning the book, I chose to take inspiration from the simplicity of the polar regions, keeping the colors muted and the typography simple and clean.